Editor’s note: This address was given in May 2017 at OPERA America’s annual conference “Creating Collaborative Change,” hosted by the Dallas Opera. It is reprinted with kind permission. All of us are aware that our nation is and has been experiencing a legitimacy divide in many segments of society, including our religious, economic, racial, and political structures for many years. The arts are not exempted from this divide and from its impact. There is a growing awareness that diversity, equity, and inclusion are no longer a mere consideration but now a reality of absolute necessity for all of us. Despite the increased numbers of minority-focused artistic ventures, it is still whites who primarily decide which people and works will be produced, mounted, or will receive mainstream exposure. The demographics of ethnic, social, and generational changes of the 21st century demand that we in the arts change how we do our business not just for our collective cultures, but also for the survival of our individual institutions. The widespread impact of this “legitimacy divide” on funding equity, audience development, and institutional growth for minority organizations, individual artists, and non-traditional art forms that results from historical and societal differences creates a set of disparate performance expectations and creates competition with mainstream organizations. For minority groups to be expected to perform against the same quantitative and qualitative measures. To create equal appreciation and appetite for your work in order to be relevant. You must engage audiences and produce outcomes by conforming to same methods, resources, and behavior models. What is missing or absent from the conversation? It is the lack of understanding regarding the origin, development, and societal changes that have historically limited some and benefitted others. So let’s have that conversation today. What do we know to be some of the impacts of this legitimacy divide for the arts but we don’t talk about? a. Separate but unequal is really okay. b. Minorities and non-traditional art are optional and not essential to the vitality of the arts ecology in my city. c. Partnerships, collaborations, and audiences are to be created for the primary benefit of the mainstream organization and not vice-versa. d. Excellence is never the automatic “performance expectation,” and there is a penalty if you out-perform your mainstream counterpart (whether you are an artist, board member, organization, audiences or even donor). Example: A minority group received a $1 million interest free bridge loan for its capital campaign from a funding agency. The group paid the loan back in full before it was due. The funder said it had never had a loan repaid by any group. They did not expect payment, so they booked it as a grant. When the minority group returned several years later, the funder advised that their board never expected to get the money back, so it was considered a grant to them. At the same time, others who were operating in deficit positions were getting half-million dollar grants yearly. Sorry, you exceeded our expectations. Another question to explore is: What types of actions, both conscious and unconscious, marginalize the forces for equity? In other words, where are our blind spots? Even though racial attitudes have evolved during the last half century, America has not entered a post-racial society, and many persons who respond positively to pressures of political correctness are still unaware of how their attitudes and ethnic preferences have delegitimizing consequences for others. Example: An African American Dance company performed a groundbreaking work last year to disco music and themes, and the critic’s review stated: “the dancers looked like prancing fillies.” This is reminiscent of discussions where sportscasters used animals for descriptions of Black athletes. How do you build audiences, seek program funding from anyone who doesn’t know the organization, or uplift the artists? This word/picture was an unconscious bias that marginalized the work and perceptions of legitimacy. Question for us today: How many in this room believe the critic would have ever used this description in their review of The Rockettes? For a third impact, let’s consider the difference between diversity and inclusion. Picture this: You are invited as a guest, not asked your preference for the meal, seated at the far end of the table with other guests who are also diversity guests, unaware that a special reception was held prior to the meal, and during dinner that is what everyone is talking about. You are only invited to participate in the conversation for polite comment. The host makes a public statement to let everyone know you have been sponsored and that you have not paid full fare for your meal. Yet, when dinner is over, YOU are asked to come be in the photo (front and center). This type of invitation ultimately becomes an image proposition for the host. You are invited to join the dinner and asked food preferences in planning the meal, seated in the midst of all other guests, invited to share fully in the dinner conversation, and asked how you would like to provide value for your meal at some equitable level. When asked to join the photo, the placement is natural, and there is an ambiance of respect and authenticity. This type of invitation ultimately becomes a value proposition for both the host and the guest. Example: In 2016, the Dallas Opera partnered with Dallas Black Dance Theatre in its production of Showboat! And, the experience was the most rewarding collaboration we have done. It began with a salon discussion, involved board engagement, marketing exchange, equitable financial compensation, inclusion in pre-concert education materials, and a post-event cast party for 200 persons hosted at our facility. This was indeed a first. So, what do all of us need to do to dismantle barriers that perpetuate, marginalize, and delegitimize sectors of our arts? Recognize that we all have blind spots and biases in today’s society. Rather than project our intentions on the behavior of others, we need to talk, hear, and incorporate the ideas of others who represent different cultural backgrounds. Our goal must be to create organizations, boards, staff and yes, audiences that build trust, respect, and mutual support. And, to do this, one must be willing to relinquish the power of personal preference and be vulnerable, open-minded, willing to learn from others, and exhibit humility and patience. (Traits that have been asked of minorities and non-traditional groups for years. Recognize that building bridges is not “a join-up process” but a focused commitment to attaining a positive result regardless of the long journey ahead. Art is a wonderful, subjective thing that can only be defined by the person engaging with it. And our opinions do matter as a society. Society was wrong during Van Gogh’s lifetime. The quality of his paintings did not change; the materials didn’t become more expensive, and the subject matter is no different. Only one thing has changed: our opinion of them. Ladies and Gentlemen, we in the arts must bridge this legitimacy divide. America has created the most wonderful tapestry of people on earth; and, we collectively should be able to create the most wonderful tapestry of arts and culture that civilization has ever known. Zenetta Drew is the Executive Director of Dallas Black Dance Theatre. Drew has been with Dallas Black Dance Theatre since 1987 and has seen the company grow dramatically over her tenure from an annual operating budget of $175,000 to more than $4.9 million. The company’s yearly services have grown from 30 to more than 600 with national and international venues and audience growth has increased from 20,000 to 150,000 annually. To date, the company has performed in 31 states, 15 countries and on five continents. Prior to joining DBDT, Drew’s professional background included 11 years of accounting and management experience at ARCO Oil and Gas Co. During this time, she held ten positions of increasing management responsibility. Most notable were her assignments managing offshore oil platform projects in the Gulf of Mexico and as oil revenue accounting manager where she was responsible for 50 percent of corporate revenue. She is the recipient of the 2003 Texas Legislative Black Caucus Outstanding Texan Award in Arts/Entertainment, 2004 recipient of the Dallas Delta Sigma Theta Sorority Alumnae Chapter’s Outstanding African American Women in the Arts Award, named 2009 Woman of the Year – St. Paul Baptist Church, a 2013 recipient of the Women of Color Achievement Award by The 100 Black Men of Greater Dallas/Fort Worth, Inc. and one of three inaugural inductees into the Academy of Entrepreneurs at Texas A&M University – Commerce. In 2016, she served as Accounting Alumni Ambassador for Texas A&M University – Commerce and received the university’s Distinguished Alumna Award. Ms. Drew was recognized as one of 30 global business school graduates to receive the 2016 Influential Leaders Award for diversity and inclusion from the Association to Advance Collegiate Schools of Business. She received the 2016 Obelisk Award for Outstanding Leadership Arts Alumnus from the Business Council for the Arts and the 2017 International Association of Blacks in Dance-Excellence in Arts Management Award. Ms. Drew is a graduate of the 1991 Leadership Dallas class, 2010 Leadership Texas class and 2013 Leadership International class, and has served on numerous boards including the Advisory Board for Booker T. Washington High School, Friends of WRR, the Dallas Women’s Foundation, founding member of Dallas Coalition for the Arts, the Executive Advisory Board of the College of Business and Technology at Texas A&M University – Commerce, Marketing Committee for the Dallas Museum of Art and the Advisory Board of Dallas Thanksgiving Square. She currently serves on the Board of Governors for TACA (The Arts Community Alliance), the Advisory Board of the National Center for Arts Research at Southern Methodist University, the College of Business Advisory Council for Texas A&M University – Commerce, is a Board Member of Downtown Dallas, serves as board treasurer for both the Dallas Arts District and the City of Dallas’ Dallas Development Fund and is a member of the Women Presidents’ Organization. 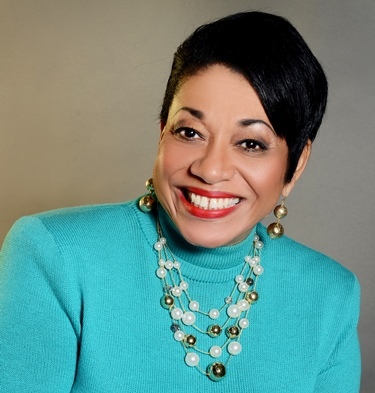 Nationally, Ms. Drew has served on advisory panels for the National Endowment for the Arts and Houston Arts Council, as well as President Bill Clinton’s Americans for the Arts Strategic Planning Committee. Currently, she serves as treasurer on the board of directors for DataArts (formerly the Cultural Data Project) and is an Advisory Friend of the Le Moyne Graduate Program in Arts Administration. Ms. Drew has guest lectured on fundraising, accounting, and arts leadership for multiple groups including the Texas Commission on the Arts, SMU, the Texas Society of CPA’s Nonprofit Organizations, Syracuse University, LeMoyne College and Texas A&M University – Commerce. She was commencement speaker for Texas A&M University – Commerce in August 2014 and has been a speaker at Leadership Dallas, Leadership Texas, Leadership America and the Business Council for the Arts for multiple years. She holds a B.B.A. in accounting from East Texas State University, a management certificate in non-profit leadership from Brookhaven College, and recently graduated from the National Arts Strategies Executive Program at Harvard Business School.